“He is the spitting image of my son,” Xia said on Pear Video, a popular Chinese video-sharing website. When Jiang heard Xia’s tragic story, he agreed to meet the family on the TV show. As a married parent himself, Jiang was touched by their loss and grief, and told reporters that he was “more than willing” to pretend he was Liang Yu. His only reservation was addressing someone other than his own mother as “mum” on television. 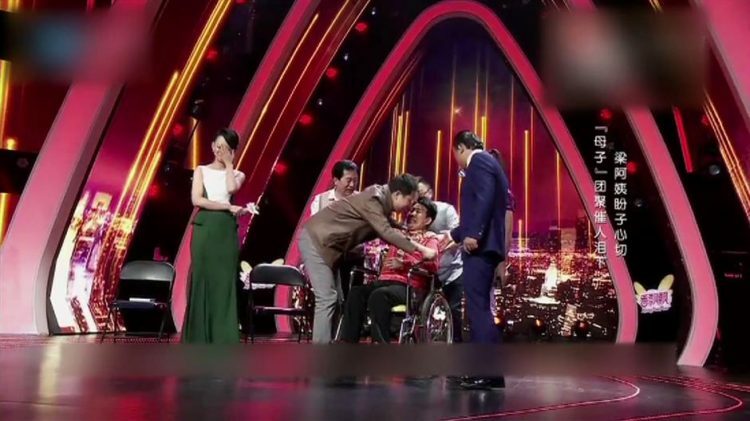 The host of the TV program explained to Liang Qiaoying that “her son had been working far from home for so many years that his accent had changed significantly, to avoid doubts about his real identity. Additionally, they told her that he was working for a special security unit which prevented him from visiting home more often, and that he was forbidden to speak her native Shanxi dialect because of the nature of his job. When they were “reunited” on the show, both Xia, and Liang burst into tears at the sight of Jiang. Even though he hardly knew them, the kindhearted police officer was also moved to tears as he bent down to hug her. The whole thing lasted just a few minutes, but had great impact on the sick, wheelchair-bound woman. 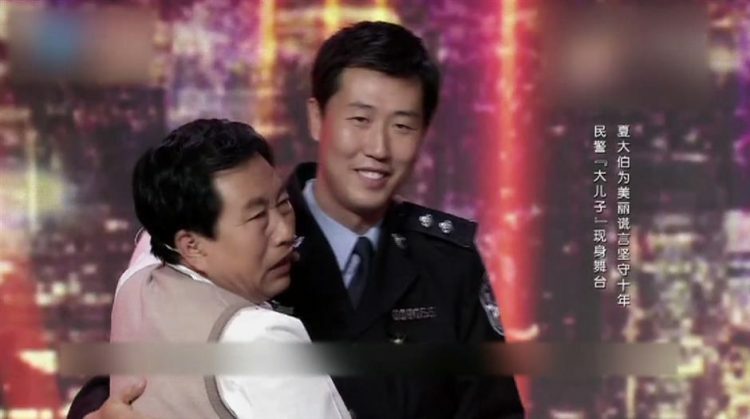 The televised “reunion” happened five years ago, but the relationship between the couple and Jiang has endured. They visited him in Shanghai last May, they stay in contact by phone and video calls and the officer sends them gifts periodically. Xia said that Liang’s health has dramatically improved since meeting Jiang and being able to talk to her son more often. 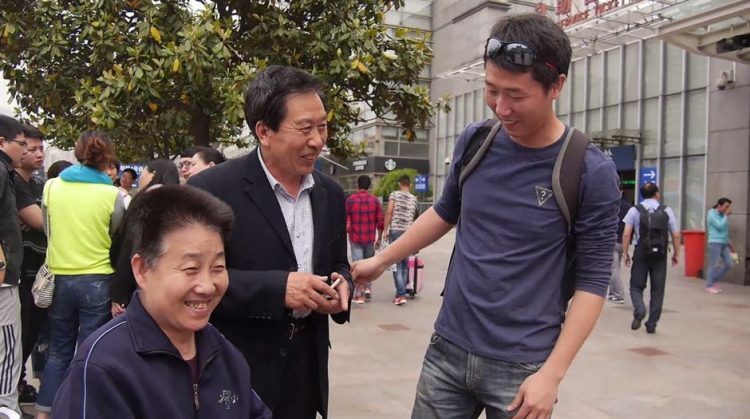 “Although he lives in Shanghai and I’m in Shanxi, our hearts stay together, and I consider him my son,” Xia added. “I will always be there for them,” Jiang told Shine.